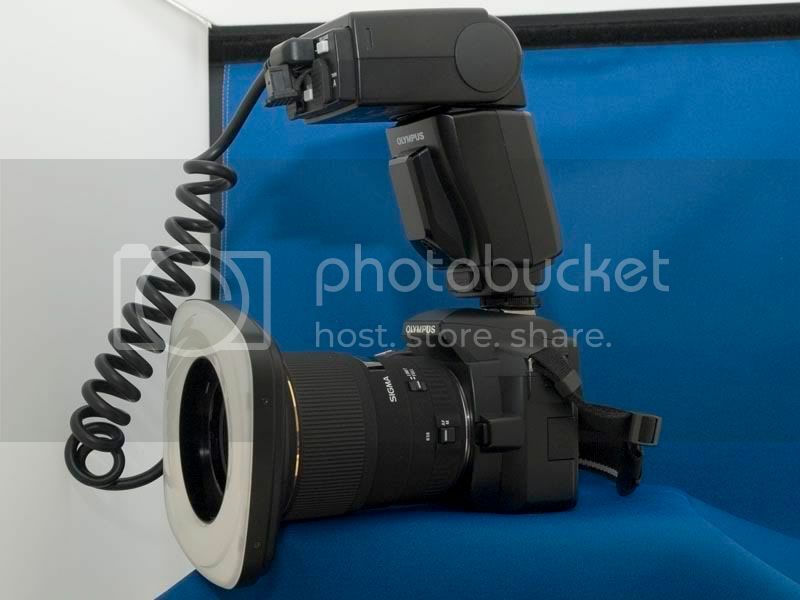 Thread: DIY Ring Flash Adapter for Sigma 105mm Lens. 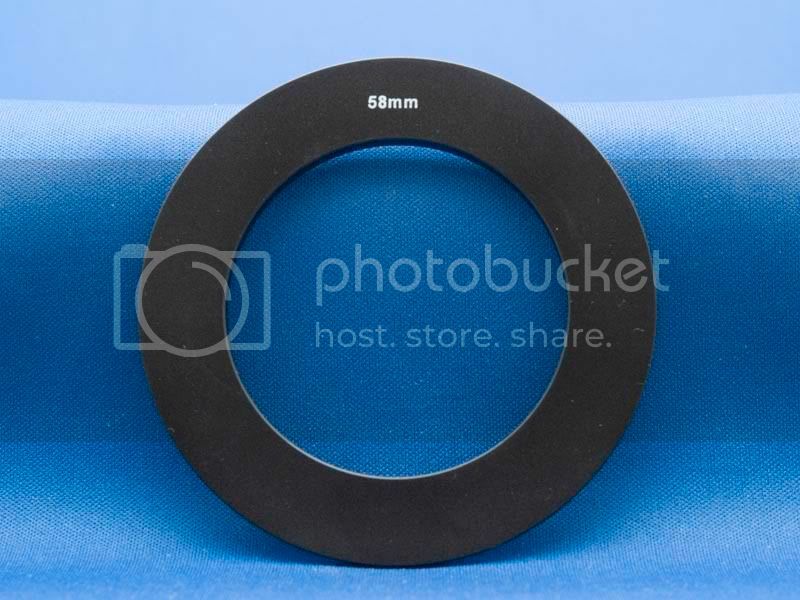 For those who own both the Sigma 105mm and the Oly ring flash, here are the details of my DIY Ring Flash adapter for the Sigma 105mm lens. I bought a 58mm Cokin P Filter Adapter and, using the FR-1 as a pattern, had it milled down, with the lugs to lock it in place. 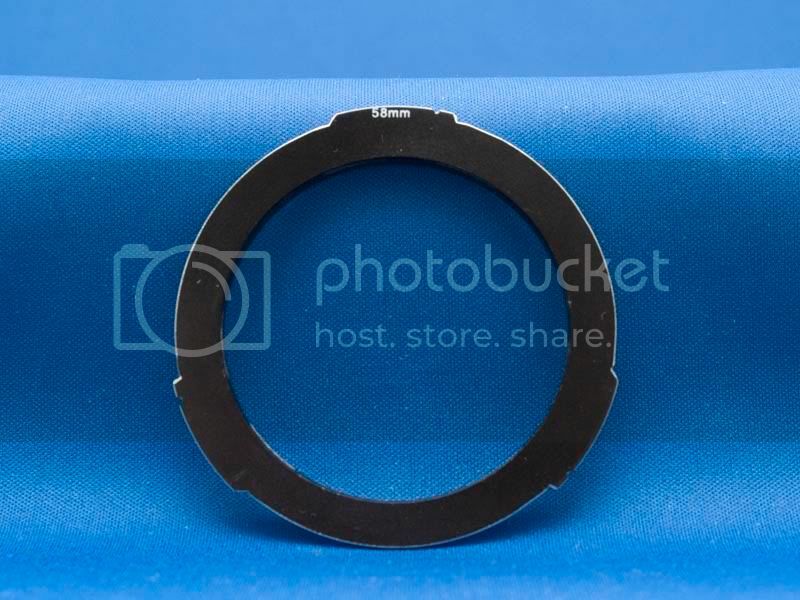 Because the filter adapter appears to be anodised metal, it doesn't have the give to slide completely into the platic locking pieces in the ring flash's grooves without damaging the locking pieces, however the filters lugs do go in sufficiently to hold the ring flash securely in place., without causing damage. As you can see in the pics below, I didn't quite get the orientation of the lugs correct on the prototype, as a result the ring flash doesn't sit as square as it does on a 14-54, however it works perfectly. 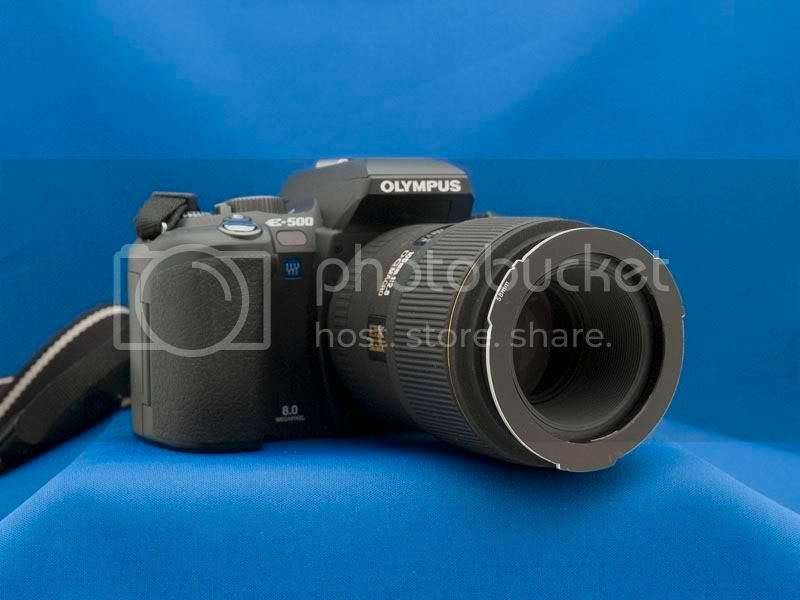 I have concerns that,when using AF and trying to take the lens to it's full extension (1:1), the additional weight of the RF may strain the lens motor. I try to avoid straining the motor by using MF to extend the lens to full extension then switch to AF, I switch back to MF to close the lens, this seems to work well. I hope this will be of use to some of the forum members. 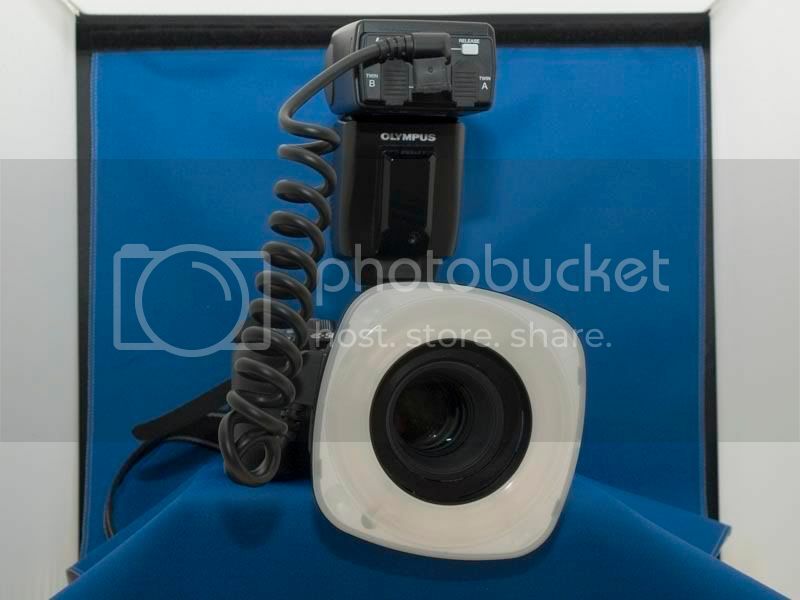 Re: DIY Ring Flash Adapter for Sigma 105mm Lens. Very nice mod, I am going to move it to the keepers forum! I hope some other members find it of use.